I've been having such fun going through some of our family's favorite recipes from years ago and giving some of the older images facelifts. 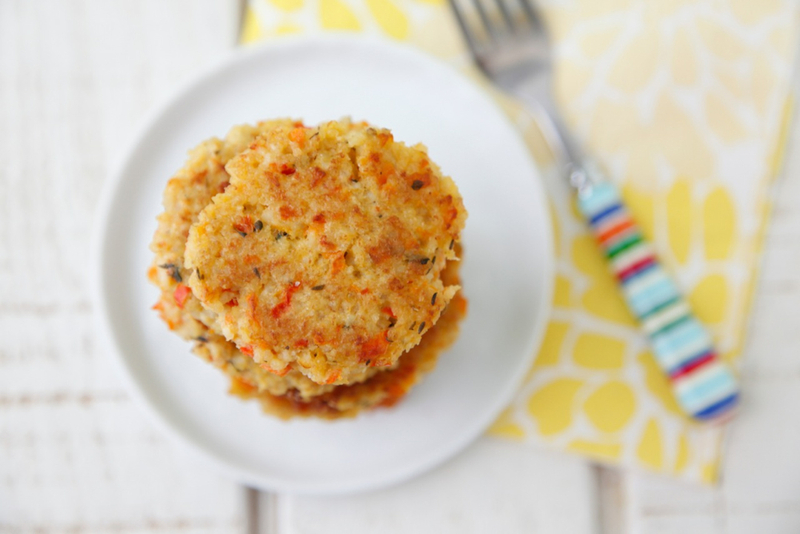 When I saw these Millet Cakes I couldn't believe how long it had last been since I made them and when I watched the kids eating one after another I was thrilled to find an old oldie, but goodie. I hope you have the opportunity to try it too! I don't think there's any good name for this recipe -- believe me, I've been racking my brain for something better. Millet sounds like some small bug that you might have found in your bed at camp in the 6th grade or maybe a hairdo that is short on the sides and long in back. In reality, millet is a delicious grain that doesn't seem to appear in too many recipes, but is fantastic for little ones. Kenya loved it so much, I got totally inspired and came up with several recipes using it. 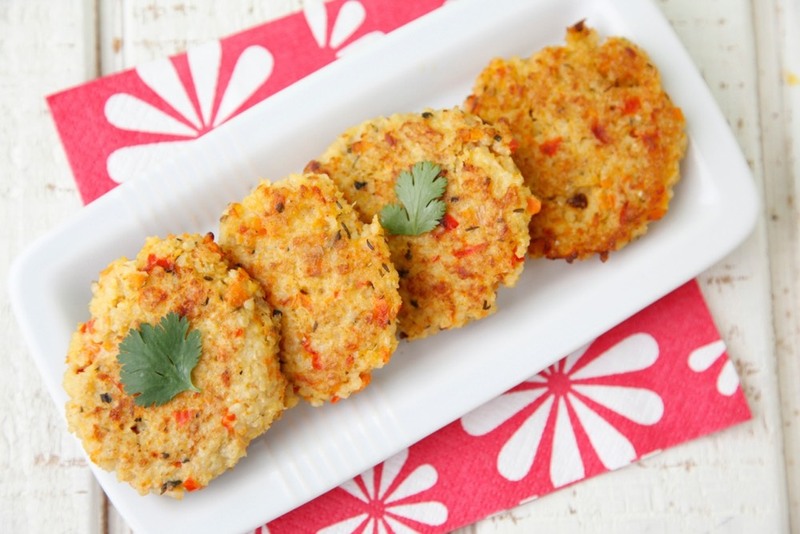 These millets cakes are easy to prepare and take only minutes to cook. Their nutty flavor comes out even more when you add a yogurt tahini sauce for your little one to eat with it. Millet is one of the least allergic and most digestible grains. It's nearly 15% protein, contains high amounts of fiber and B-complex vitamins and is a perfect in a gluten free diet. When you're making the millet recipe below you might think you made it wrong because it's very sticky. Don't fret, you made it perfectly! The millet needs to be a little sticky in order to form the patties. These are a great choice to serve in the summer, for parties, or for play dates, especially when it's your turn to give the neighborhood kids dinner and you want to make something special. And I'm all ears for better names for this recipe, so don't be shy, send me suggestions. I'd love to hear them! 1. Cook millet according to package directions until cooked through and fluffy. 2. Place the onion, bell pepper, carrot, garlic and italian herbs in food processor and pulse and until vegetables are in tiny pieces. 3. Heat 2 tsp of oil in a medium saucepan over medium heat and add the vegetables. Sauté for 3-4 minutes or until vegetables are soft. 4. Place the millet, vegetables and egg in a bowl and throughly combine. 6. Once all the patties are made and resting on a plate, heat 1 tbsp or oil in a saute pan over medium heat and saute the patties for 5 minutes on each side or until golden. Repeat with remaining patties and add remainder oil if needed. 7. Cool on a paper towel lined plate and serve. *After step 5, place patties on a sheet tray and freeze for 30 minutes. Then transfer to a ziploc bag, label and freeze up to 4 months. When ready, defrost in fridge for 24 hours then follow steps 6-7. We don't have any millet right now, but I am going to try this recipe with some Bulgur tonight. We'll see how it turns out. Thanks for sharing. I wanted to say that the recipe was a total hit with my 3 year old and 1 year old. We used a poblano pepper from the garden instead of red pepper, and everything turned out great. When my husband returned from work and there were only two patties left, he was disappointed because he wanted more for himself. I actually made these this past weekend. You can get the Millet at Whole Foods. These were really good. My daughter loved them as well. Thanks for the recipe! Please post more recipes using millet. It is so healthy and hard to find recipes using it! Thanks for this one. This is a very intriguing post, I was looking for this information. Just so you know I found your blog page when I was browsing for blogs like mine, so please check out my site sometime and leave me a comment to let me know what you think. can i used puffed millet cereal? it was all I could find? Puffed millet cereal and millet are two different things. Millet is a whole grain and it would be located near the rice/lentils/beans, etc. Puffed millet cereal wouldn't work in this recipe. This is a delicious mix. Mine fell apart in the pan, so I scrambled it for hash - another delicious idea! I just put the whole hash on a paper towel-lined dish, let the excess absorb off, then covered the dish with another lined with a paper towel, flipped it, let it sit that way, then dug in hungrily. The patties that hadn't yet hit the pan were popped into the oven with a spritz of oil on both sides. 350 degrees, just keeping an eye for when I should flip. They're still cooking, but they look delicious. Would love to make this. It looks so delish. But I can not use eggs or onions as i am allergic to them. what can i use in its place. I am also gluten free. eggs and onions. Plus I am gluten free. I made this using a Flax mixture as an Egg Replacer. They were GREAT! Flax Egg = 2 T. Ground Golden Flax Seed Meal, 3 T. water and 1/8 t. baking powder. Mix in bowl and let sit for few minutes while it forms a gel consistency. You recognize thus considerably with regards to this topic, produced me for my part imagine it from a lot of varied angles. Its like women and men aren't involved unless it is something to accomplish with Girl gaga! Your own stuffs nice. All the time take care of it up! Isn't it great when you can figure out a way to inucdle your family in this process? I love seeing all the little ones in the playroom at F2F. Reading labels is a real eye-opener, isn't it? Sugar and sodium are everywhere! And if they take out the fat, they put in more sugar and sodium to get some of the flavor back. Seems like you can't win! The choices will get easier as you go along. Keep up the great work. 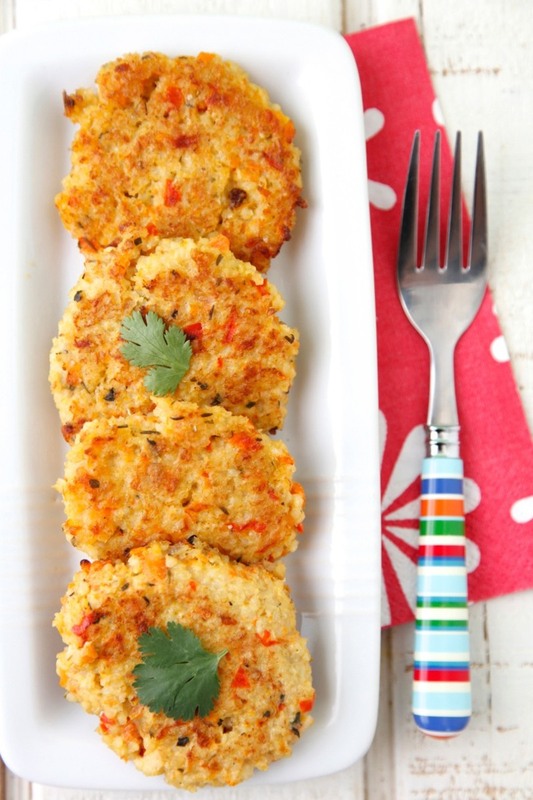 How about \"Momma's magic millet cakes\" for a name? And I'm going to add some kale into the processor with the onions, etc., to sneak in some greens. Thanks for the recipe! That should work. Let me know how they turn out! Silly question- cook the millet for 45 minutes? Yep! Cooking it for 45 minutes gets it to the right consistency to easily form into cakes. Can I use finger millets? These are supposed to be served hot? Yes, serve hot or warm! 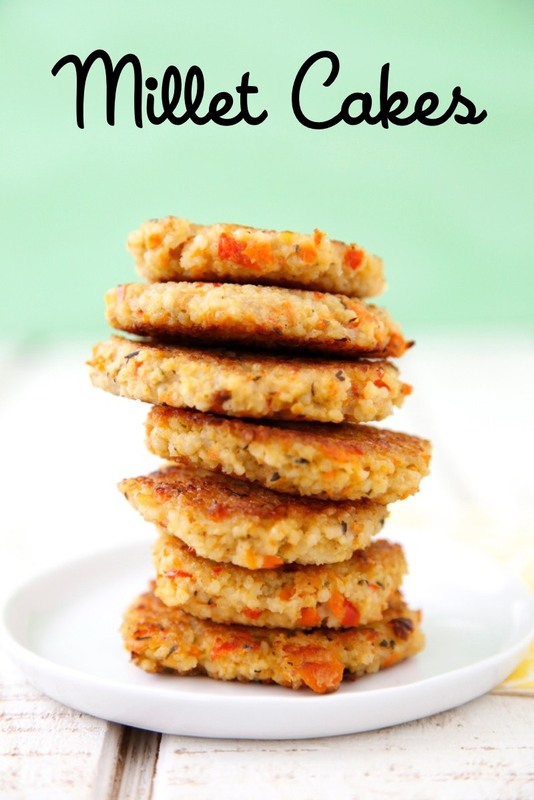 The millet cakes remind me, in looks, of what mother made from leftover mashed potatoes; we called them potatoe patties so how about millet patties? Does the millet need to be rinsed before cooking? Oh one more thing...how much millet and water do I need? Made these last night, and I really wanted to like them. They just seemed really bland. I followed the recipe to the letter. I will try them again, but next time with the tahini sauce you suggested. They definitely needed a little pep added to them. This is a great basic recipe and the cooking time on the millet is right on. I found it pretty bland so changed a couple of things. In the water that I cooked the millet I added a pinch of garlic/onion powder, salt, pepper, celery seed and cayenne pepper (not enough to make it spicy just a pinch). I added about 1/4 cup grated parmesan to the millet at the same time as the egg. Delicious! I'd probably call these something like sunshine circles. Thanks for a good millet recipe! I tried these today, they were delicious but it was difficult making patties, they kept falling apart, was it because I cooked the millet for only 25 mins ? I thought I should stop cooking it as it appeared to be drying up ? Millet Dollar Baby Cakes is my name suggestion. I added curry powder, turmeric, cinnamon, ricotta cheese, and a pinch of sugar. Mmmmm. Definitely giving these a try soon! I haven't tried that, but I think it would work! Bake at 350F for about 15 minutes! Can you use another grain instead? I have a ton or Farro, Freeka and Quinoa in the house. I would love some Vegetarian recipes using Millet &amp; keen-wa. Correction? Shouldn't this read \"After Step 5\" rather than step 6? You are correct! I have updated the directions, thanks! Add me to the camp where they fell apart completely. Looking at the comments, most of the people who liked them also added parmesan. I wonder if that helps them stick together. I have my oldest daughter stir frying them right now to make into a sort of vegetarian hamburger gravy to top our mashed potatoes with instead.